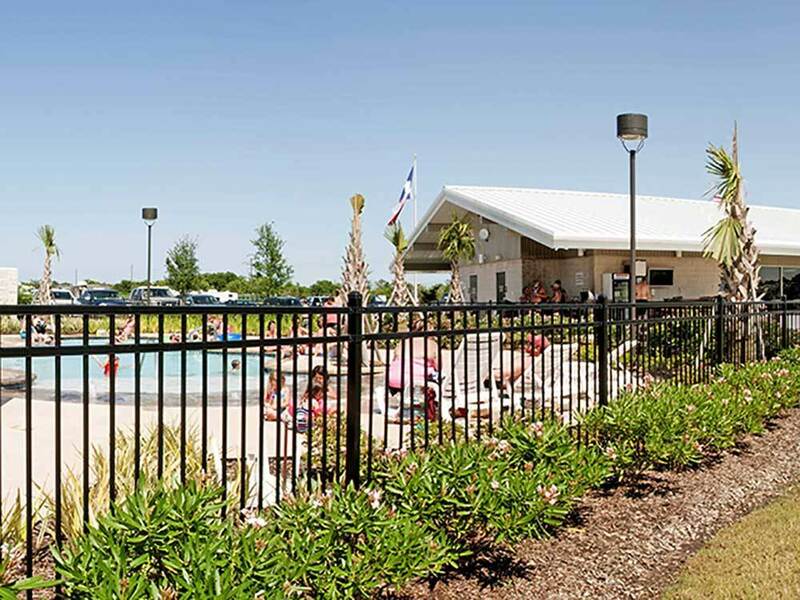 Mont Belvieu RV Resort is a 5-star residential RV Resort sporting a sparkling swimming pool & Jacuzzi, a broadband-connected computer room, professional-grade laundry facilities, exercise equipment & so much more. We stayed 1 night while traveling through the area. Chose this park because of the P/T sites. The park is near I-10 (Exit 800: FM-3180, Eagle Dr) but the turn at the intersection of FM-3180 & FM-565 is difficult due to the angle created by the intersection and condition of the road. FM-565 is rural residential road so it is a little narrow without a shoulder. The interior roads and site parking pads are concrete. The interior roads are wide but vehicles were parked on the roads against the park rules impeding the roads. Some folks even parked their vehicles so they were sticking out in the road as if they were hooking up or pulling out onto the road. Without the vehicle encroachment the roads & turns were easily negotiated. The P/T sites were long enough for coaches & their toads. This park understands the simple concept of the importance of a flat, level site as the sites were generally level. Not much privacy between the sites as they are very close to each other. They have full hook ups – water, electricity (50 AMP), & sewer. The utility connections were towards the middle of the sites. There was an outside table but no fire pit. There were a couple of “Large” gazebos with fire pit and outdoor kitchen on the corners of the “7 Acre Lake” There are not any trees to interfere with satellite reception. There was an extensive choice of cable channels available. Didn’t have much luck getting broadcast channels. Could only get 2 of the 4 major networks. Didn’t get a chance to try the park provided WiFi. It required registering and creating a “profile” with the provider (Tengointernet) but the service was complimentary. Our Verizon WiFi hotspot worked well. Our NET10 phone reception was acceptable. No designated fenced pet area but there was sufficient to walk dogs along the park roads and there were gates available to exit the park to walk in the nearby fields. There were some bag dispensers and cans stations near the designated “Dog Run” areas to collect waste. For being in a hazardous/severe weather area, there was no underground storm shelter. None of the structures in the park were identified as a severe weather shelter. Although it was disappointing & was nothing special but would stay here again if the need arose. Outside of town, large park, very new so no shade. Only 1 bathroom/shower for whole park. Facilities very clean. Dog walk and dog wash very nice options.